Valentine's day is around the corner, so here is the card I made for special someone! 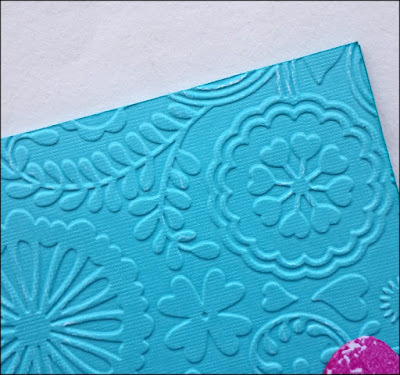 this is quick and easy card with texture and stamping! 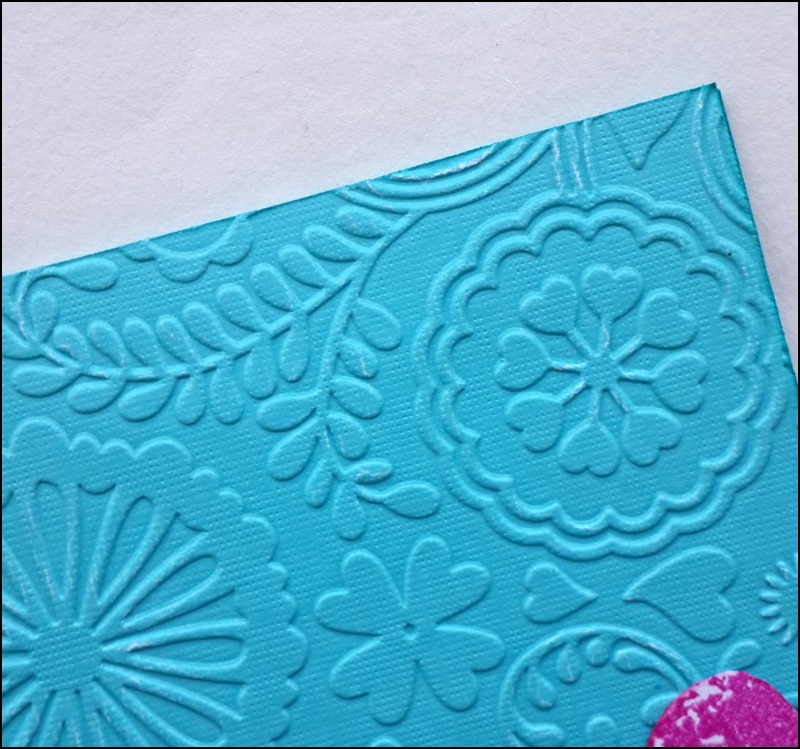 I dry embossed the blue card stock paper through embossing folder. Next I layered another green design paper with torn edges for interest. 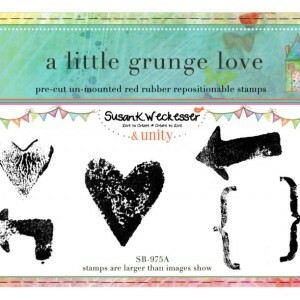 On white card, I stamped a heart from "Littele Grunge Love" stamp set and pink archival ink. 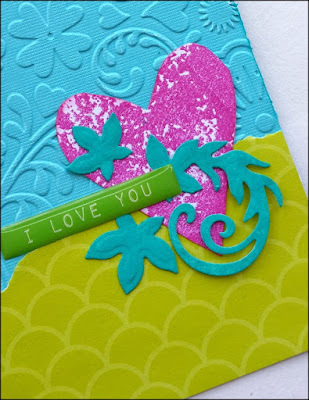 leaves and flourishes are diecuts, which I colored with peacock feather distress paint. Finally added the sticker sentiment. 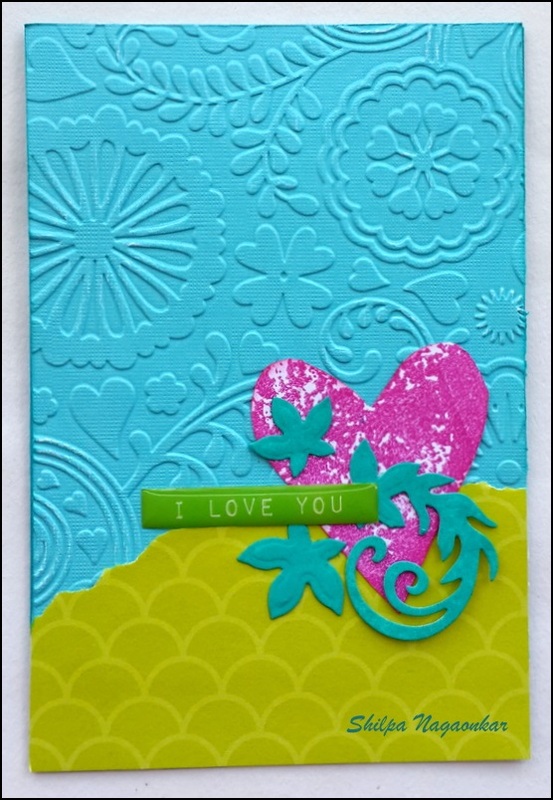 Hope you liked this card and got inspired.